Games rated PEGI 18+, including Dishonored, will not be available in Windows' marketplace. 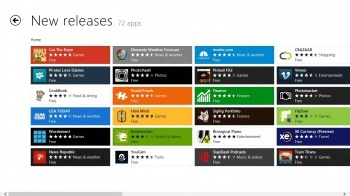 One of the features in Windows 8 is Windows Store: an online marketplace with a "more transparent and streamlined release structure" that "also allows developers to keep up to 80% of their profit". Marketing speak aside, if you're a developer that plans on releasing an Adult or 18+ rated game in Windows Store, you should know that Microsoft will refuse to sell it. A Microsoft representative confirmed recently that its rating restrictions for apps will also apply to videogames sold in Windows Store. If you open up the Windows App Certification Requirements and scroll down to Section 6.2, it states that "apps with a rating over PEGI 16, ESRB MATURE, or a corresponding rating under other ratings systems...are not allowed." In other words, anything that is rated Adults Only, 18+ or similar won't be accepted into the marketplace. For American users, the majority of games are rated as ESRB Mature, and the number of ESRB Adults Only games is quite small, so unless you're interested in purchasing some questionable titles from the late 90s, you should have nothing to worry about. On the other hand, European countries that use the PEGI system will have far less to choose from in their region's store, given that a large number of mainstream titles fall under this rating. This includes titles such as ArmA II, Max Payne 3, Deus Ex: Human Revolution, the Mass Effect series, Borderlands 2, The Witcher 2, Dishonored, and more. Games sold in Japan that have a CERO rating of Z will also fall under this restriction; titles such as Dead Rising, Crackdown, Just Cause, RAGE and The Orange Box won't be available for purchase. It should be noted that users of Windows 8 can still freely install and play these games on the operating system. There will, however, be less incentive for publishers to consider releasing products on Windows Store for mature audiences; a situation that will no doubt hurt the store's chances of success. Earlier this year, several high profile developers expressed their concerns regarding the operating system, with Valve's Gabe Newell labeling it as a "catastrophe".